Did you know that in order to properly dissolve many types of sunscreen and water-based makeup an oil-based cleanser is needed? We find using one also makes a difference with clogged pore situations, breakouts and, depending on the oil, may even help calm down angry skin. 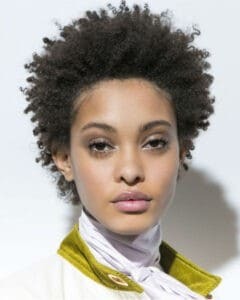 Anti-aging oil-based cleansers are also great to remove eye makeup preventing the stinging and irritation, that store-bought formulas sometimes cause. The way they work is simple; the oil used to cleanse breaks down the oil in a product’s formula, allowing for any remnants that are stuck to the skin to dissolve without over-stripping. 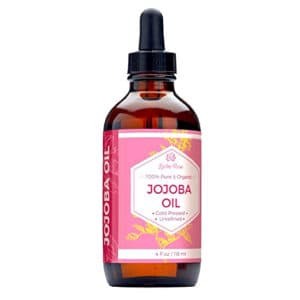 Consider using Jojoba Oil, as research indicates that it helps fight free radical damage, boost collagen production, heal skin and is also anti-inflammatory due to containing Phytosterols and Myristic Acid. The ingredient’s name, Jojoba Oil is actually a misnomer since it is not an oil but rather a liquid wax ester that is skin-identical (meaning it closely resembles that our body naturally produces) and closely resembles sebum (a moisturizing agent). This likeness allows Jojoba Oil to have benefits inclusive of generally not causing irritation, being safe for oily skin and absorbing well. 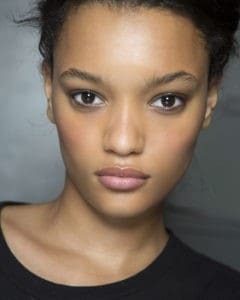 In fact, the anti-aging ingredient has actually been linked to balancing out oil production as well as clearing out pores. Instead of a store-bought makeup remover (pre-cleanser) consider making your own Jojoba Oil cleanser at home since it’s simple and also cost-effective. As Jojoba Oil has a long shelf life before going bad, making it at home is a good way to avoid the fillers, sulfates, and preservatives commonly found in many store-bought oil cleansing formulas. In order to add a special boost, think about adding in some Vitamin E (in the form of d-Alpha Tocopherol) since it’s nourishing for the skin and also is a natural preservative. If you’re interested in learning more explore our in-depth review on topical vitamins and all their anti-aging benefits. 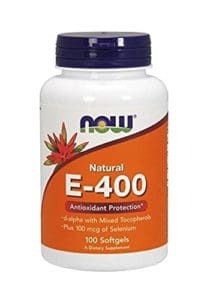 This preservative-free supplement is all natural and combines multiple forms of Vitamin E, inclusive of d-alpha Tocopherol (well absorbed when applied topically) with a mix of other forms ( d-beta, d-delta and d-gamma Tocopherols). The 100% Jojoba Oil found in this formula is not only organic but also cold-pressed in order to preserve the ingredient’s anti-aging benefits. The dark color of the glass helps to filter light while the lid secures tight to minimize exposure to air – both of which help to prevent ingredient degradation. The bottles also travel well since they don’t generally leak. 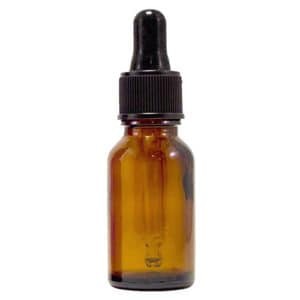 Fill ¾ of your amber bottle with Jojoba oil. Prick 1 Vitamin E capsule and squeeze the contents in. Generally this pre-cleanser works well at the end of the day to remove makeup as the first step to an anti-aging skincare routine. 1. Start by washing your hands, and placing 1-2 droppers (should be around 1/2 teaspoon) full of the cleanser into the palm of your hand and then massage it all over your face. Make sure to leave it on for a few minutes to maximize ingredient absorption. 2. After that simply wipe your face off with a cotton pad. 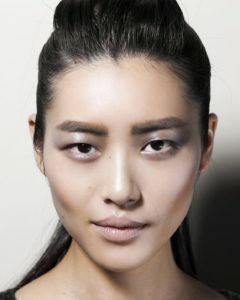 Skin is left soft and supple without that greasy feeling caused by some oil-based makeup removers. 3. Follow up by washing your face with your normal cleanser. Check out our guide, if you’re interested in learning all about the benefits of anti-aging cleansers inclusive of the different types and key ingredients to look out for. If it turns out that making your own oil pre-cleanser (make-up) remover isn’t really your thing, check out the following store-bought cleansing oils with strong formulas that focus in on natural ingredients. A mix of Squalene, Safflower seed, and Rose Hips Oil helps this gentle cleansing oil to effectively deep clean impurities and remove makeup – even the long-wear and waterproof kind. After applying to a dry face the oil emulsifies with warm water into a creamy fluid that easily rinses off without over-drying skin. A new take on the standard cleansing oil, this fragrance-free cleanser’s milky texture leaves skin feeling soft and hydrated without feeling greasy. The formula combines plant oils including Avocado, Coconut, Jojoba, and Meadow-Foam to nourish with anti-irritants like Liquorice Root Extract and Green Tea to help sooth the skin. This formula is made up of a synergistic blend of oils including Avocado, Grape Seed, and Jojoba Oils minus harsh sulfates to ensure that skin is deeply cleaned without over-stripping. Like all FoxBrim products, this make-up remover is not only backed up by a money-back guarantee but is also produced in small batches to ensure freshness. A straightforward gentle cleanser made up mostly of Grape Seed Oil that easily removes makeup (even the long-lasting/waterproof variety) while not over-drying. The formula is fragrance-free and rinses off without leaving a residue. Notable ingredients, Vitamin A & E, provide a slight anti-oxidant boost to skin since you only leave it on the skin for a little while. One of the great things about making your own anti-aging makeup remover is that you get the satisfaction of knowing exactly what goes into the formula with the small downside that it can be a little more time consuming than simply just buying it. 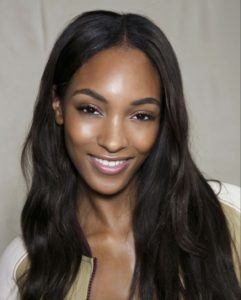 Remember that switching to oil-based pre-cleanser may be beneficial but any strong anti-aging skincare routine incorporates a range of products and treatments.